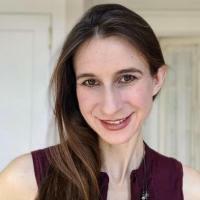 Cynthia Rudin is an associate professor of computer science, electrical and computer engineering, statistical science and mathematics at Duke University, and directs the Prediction Analysis Lab. Previously, Prof. Rudin held positions at MIT, Columbia, and NYU. She holds an undergraduate degree from the University at Buffalo, and a PhD in applied and computational mathematics from Princeton University. She is the recipient of the 2013 and 2016 INFORMS Innovative Applications in Analytics Awards, an NSF CAREER award, was named as one of the "Top 40 Under 40" by Poets and Quants in 2015, and was named by Businessinsider.com as one of the 12 most impressive professors at MIT in 2015. Work from her lab has won 10 best paper awards in the last 5 years. She is past chair of the INFORMS Data Mining Section, and is currently chair of the Statistical Learning and Data Science section of the American Statistical Association. She also serves on (or has served on) committees for DARPA, the National Institute of Justice, the National Academy of Sciences (for both statistics and criminology/law), and AAAI. Ban, GY; Rudin, C, The big Data newsvendor: Practical insights from machine learning, Operations Research, vol 67 no. 1 (2019), pp. 90-108 [10.1287/opre.2018.1757] [abs]. Rudin, C; Ertekin, Ş, Learning customized and optimized lists of rules with mathematical programming, Mathematical Programming Computation, vol 10 no. 4 (2018), pp. 659-702 [10.1007/s12532-018-0143-8] [abs]. Rudin, C; Ustunb, B, Optimized scoring systems: Toward trust in machine learning for healthcare and criminal justice, Interfaces, vol 48 no. 5 (2018), pp. 449-466 [10.1287/inte.2018.0957] [abs]. Vu, M-AT; Adalı, T; Ba, D; Buzsáki, G; Carlson, D; Heller, K; Liston, C; Rudin, C; Sohal, VS; Widge, AS; Mayberg, HS; Sapiro, G; Dzirasa, K, A Shared Vision for Machine Learning in Neuroscience., The Journal of Neuroscience : the Official Journal of the Society for Neuroscience, vol 38 no. 7 (2018), pp. 1601-1607 [10.1523/JNEUROSCI.0508-17.2018] [abs]. Angelino, E; Larus-Stone, N; Alabi, D; Seltzer, M; Rudin, C, Learning certifiably optimal rule lists for categorical data, Journal of Machine Learning Research, vol 18 (2018), pp. 1-78 [abs].